Search Results for "US capitol"
WASHINGTON - AUG 26, 2014: United States Capitol and Ulysses S. Grant Memorial near Capitol Reflecting Pool at summer sunny day. Aerial view. Construction of Capitol was begun in 1793. Capitol Reflecting Pool and United States Capitol in Washington DC, USA. WASHINGTON, DC/USA - APRIL 8: US Capitol in Washington, DC, USA on Apr 8, 2012. It is the meeting place of the Senate and the House of Representatives. 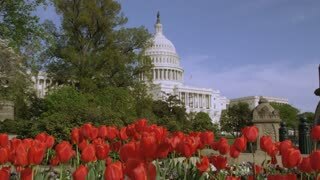 The camera zooms in across the U.S. Capitol Reflecting Pool to the west-facing side of the Capitol's dome. Washington DC National Botanical Garden 4K. The United States Botanic Garden on the grounds of the United States Capitol in Washington, D.C. Presently, the United States Botanic Garden is home to almost 10,000 living specimens. Washington DC National Botanical Garden flower fountain 4K. The United States Botanic Garden on the grounds of the United States Capitol in Washington, D.C. Presently, the United States Botanic Garden is home to almost 10,000. Washington DC National Botanical Garden tourism across water 4K. The United States Botanic Garden on the grounds of the United States Capitol in Washington, D.C. Presently, the United States Botanic Garden is home to almost 10,000 plants. The United States Capitol, a state capitol and a flooded town are shown as state versus federal governmental powers are discussed in 1951. 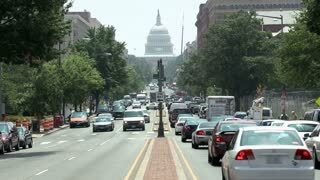 Washington, D.C. circa-2017, Aerial approach to US Capitol from East Capitol Street. Shot with Cineflex and RED Epic-W Helium. Washington DC National Botanical Garden waterfall 4K. The United States Botanic Garden on the grounds of the United States Capitol in Washington, D.C. Presently, the United States Botanic Garden is home to almost 10,000 living specimens. Washington DC US Capitol Building Visitor Center tourists 4K. 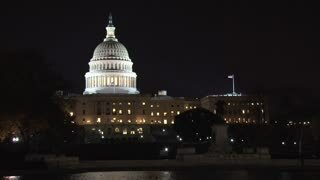 The United States Capitol, on Capitol Hill at the eastern end of National Mall in Washington, D.C., is the seat of the United States Congress and Senate, and legislative branches. 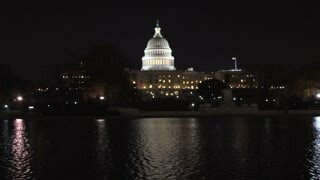 United States Capitol Building through trees 4K. 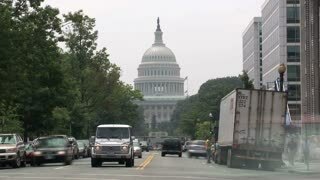 The United States Capitol, on Capitol Hill at the eastern end of National Mall in Washington, D.C., is the seat of the United States Congress and Senate, the legislative branches of the government. 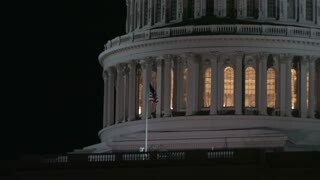 Washington DC Capitol Building construction zoom out 4K. United States Capitol, on Capitol Hill at the eastern end of the National Mall in Washington, D.C., the seat of the United States Congress. Construction began in 1793. Washington DC Capital Building youth play ball 4K. 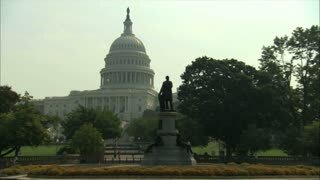 The United States Capitol, on Capitol Hill at the eastern end of National Mall in Washington, D.C., is the seat of the United States Congress and Senate, the legislative branches of government. WASHINGTON, DC, 1940: The United States Capitol in Washington, D.C., is the meeting place of the U.S. Congress, the legislature of the U.S. federal government. 1963 - A meeting of the United States Atomic Energy Commission, an AEC inspector, the disposal of radioactive waste and the United States Capitol are shown. Washington DC, USA - 16 May 2015: The Great Hall ceiling of the Library of Congress in the US Capitol. Washington DC, USA - 16 May 2015: The bust of Vaclav Havel in US Capitol. UNITED STATES 1970s: Introduction title to documentary with the US Capitol covered by smog. Washington DC, USA - 16 May 2015: The Great Hall interior of the Library of Congress in the US Capitol. Washington DC, USA - 16 May 2015: View of the United States Capitol dome ceiling with a construction tarp. Washington DC, USA - 16 May 2015: The bust of Vaclav Havel at US Capitol.